Still searching for that just right ride? While we have a great eye for all makes and models of used and pre-owned vehicles we haven't mastered the art of mind-reading, yet. If you are seriously looking for a vehicle that you do not see in our inventory we'd love to help you find the right car, truck or SUV. Tell us what you're huntin by filling out the "Wish List" form and we'll start the search right away. 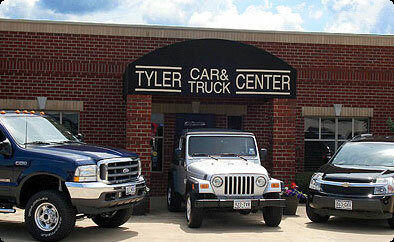 Buying a used car, truck or SUV in Tyler or East Texas is easy from Tyler Car and Truck Center, "The East Texas Dealership". Our selection of used automobiles for sale at both our locations are refered by car dealers as “best selected”. We want to ensure that your vehicle purchase is met with the finest quality service to be found in the Tyler / Longview and East Texas area. We have for sale what we sincerely believe to be both the best quality and most affordable use cars and trucks. Our car lot serves Tyler, Noonday, Lindale, Chapel Hill, Longview, Troup, Bullard, Canton, Jacksonville and all East Texas areas. Browse our online inventory. See something you like call us or send us an email. We welcome the opportunity to help you buy your next vehicle with confidence. We only stock quality pre- owned cars, trucks, vans, and Sport Utility Vehicles (SUV). Thanks for stopping in and remember to check back often as our stock is always changing. 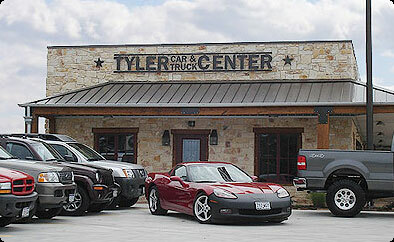 We have the Best Pre-Owned Cars, Trucks, Vans, SUVs for Sale in Tyler and East Texas!